Unhook your mindbras. David O’Doherty is returns to Dublin with a brand-new show made up of talking and songs played on a crappy keyboard from 1986. 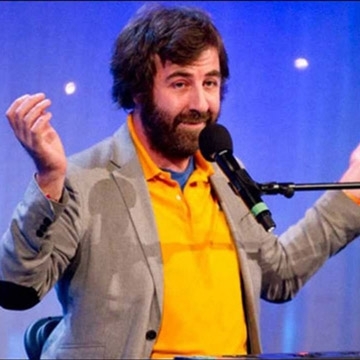 David O’Doherty is the stage name of Dublin Comedian David O’Doherty: comedian, flanneur and 1990 East Leinster under 14 triple jump bronze medalist. In 1998 he did his first open spot at the now defunct Norseman Comedy Club in Dublin's unfortunate Temple Bar district. In 1999 he travelled to the Edinburgh Festival Fringe for the first time. He won the Channel 4 So You Think You're Funny? new act competition and with it a huge cardboard cheque with £1500 written on it. Somebody told him it was legal tender, so he took it into a bank which made the cashier almost weep with laughter. Seriously, she got the other people from round the back to come out and laugh at me.